The first time I saw a photograph of the Uyuni salt flats on a travel page I told myself that one day I had to go there. It was a place that seemed out of this world with colored lakes surrounded by flamingos, snow-capped volcanoes, the sky and stars reflected on the ground. Whenever I told someone that my next destination would be Bolivia they looked puzzled. –Bolivia!, what are you going to do there? 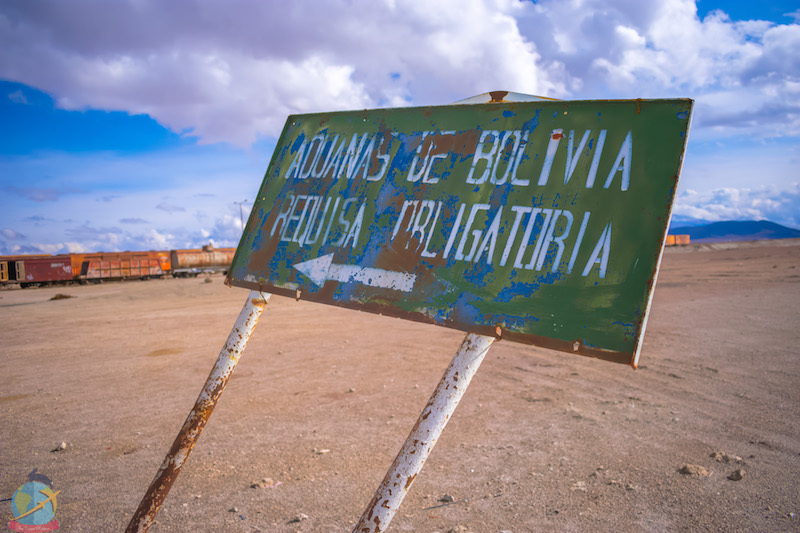 And it’s that- at least in my country- people usually do not choose Bolivia for travel purposes and almost none knew of the existence of the natural wonders it has to offer. The Uyuni salt flats are one of those wonders, with a surface area of 10,585 km2 it is the world’s largest salt desert and also the highest. Thousands of years ago the area was covered by water but because of climatic changes in the region the water slowly disappeared leaving the place as it is today. On this post I want to share with you how was my experience as a vegan in a place where I would be completely isolated from main towns and services and at over 11,995 ft above sea level. Our adventure began in Santa Cruz de la Sierra on a very rainy day. We needed to take the flight to Sucre because it was the quickest and most viable option since bus would take more than 24 hours, no thanks! Due to the storm we had problems to get a taxi to the airport, but luckily we found someone that came to the rescue. All the days that we were in Santa Cruz we’d never found heavy traffic… of course, with the exception of that day that we needed to get to the airport in time and were already with some delay. It was like the sum of all evils. I was trying to stay calmed, however, I was already imagining that we were going to miss the flight. 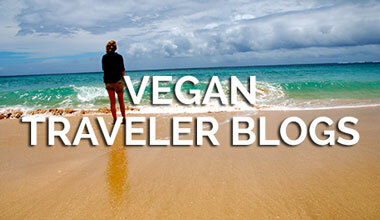 We arrived at the airport and rushed to the check in counter fearful that it was too late. Fortunately weather was an advantage because it caused delays and we could reach Sucre seamlessly. Yay! In Sucre we only stayed a short time. We visited a Museum and found a restaurant to grab a bite before departing for our second destination; they had options for me so there was no problem. There were other vegan restaurants in the city that I would have liked to visit but as we had such a short time it was not possible. From Sucre we took a bus to Potosi, the journey takes 3 hours approximately. There are several companies that make the trip and usually depart every hour, there are taxis as well that can take you in a shorter time and at affordable prices. The bus didn’t stop for the whole trip and I had consumed enough water because it was recommended to stay hydrated… bad idea! I wanted that car to fly so we could get to Potosi fast. We only spent one night there because we already had our tour confirmed to start the next day. The next morning, we got up early to go to the bus terminal and take our transport for our final destination. The trip takes approximately 3 hours. Jose, who would be our guide and driver for the next few days of the trip, was already in the terminal waiting for us when we arrived in Uyuni. 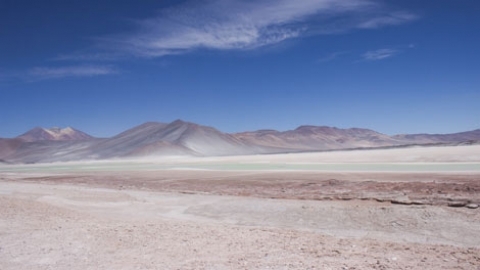 The salar is located in the Bolivian Altiplane, part the of the Andes cordillera region specifically in the Department of Potosí, at an altitude of 3.650 meters above the sea level. 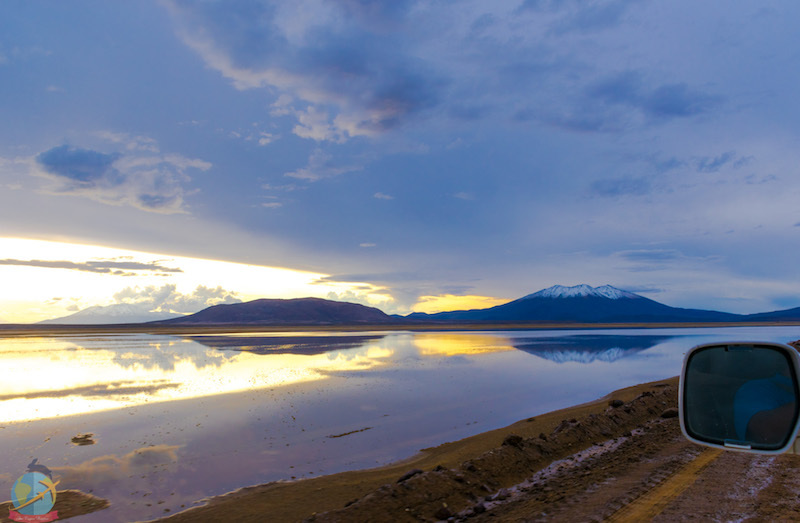 Most people start their adventure in the town of Uyuni, which is quite small and mostly composed of travel agencies, hotels and restaurants. Almost everything is focused on tourists attracted by the salar but apart from the tours there are not many other activities to do to stay long there. 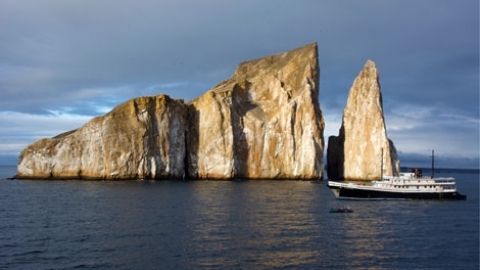 By plane: flight can take a maximum one hour from la Paz. 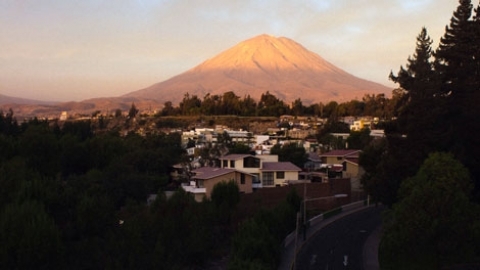 You can also take it from other cities like Sucre and Santa Cruz de la Sierra. 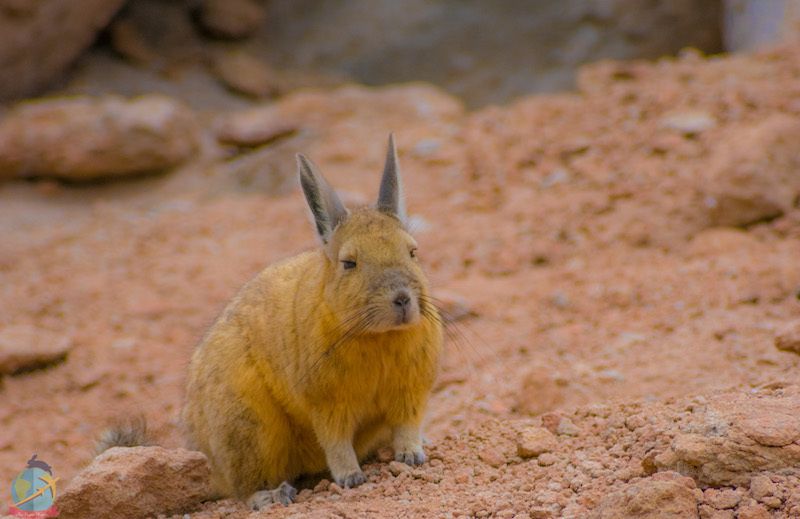 By bus: the journey from La Paz takes around 12 to 15 hours; approximately 3-4 hours from Potosi and 8 hours from Oruro. By train: you can take it in the city of Oruro and Tupiza. The estimated time is 6-8 hours and it’s recommended to buy tickets in advance. From January to early March is the rainy season and you’ll be able to see the mirror efect. This phenomenon is caused by the accumulation of water on the surface and makes it possible that the sky is reflected in the salar. But also due to the flooding some places will become inaccessible as it can be dangerous driving in those conditions. 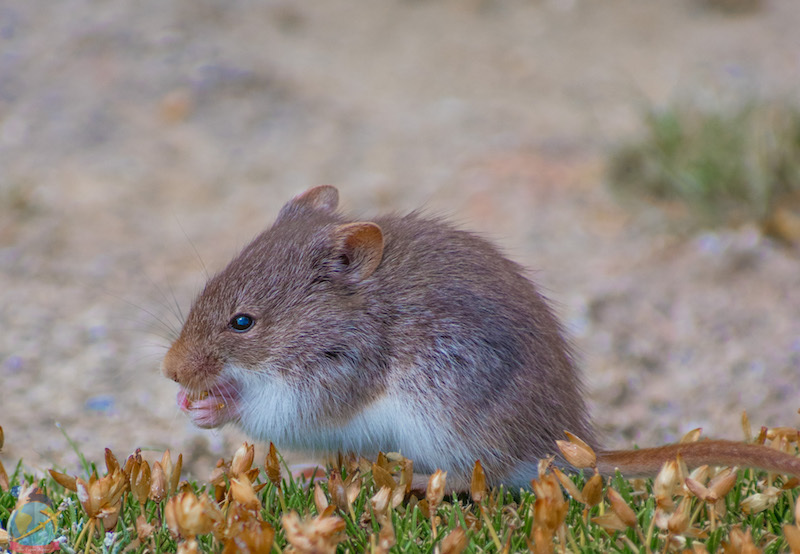 From May to October is part of the dry season so you’ll find clear skies to take spectacular photographs, but also it’s when it gets colder so you have to be prepared. The time you choose will depend on what you want to see, but in any case you will have a unique experience. Usually the circuits begin around 10 o’clock in the morning in a 4 x 4 car with capacity for up to 6 people. You can choose a private tour if you don’t want to share the car with other travelers. 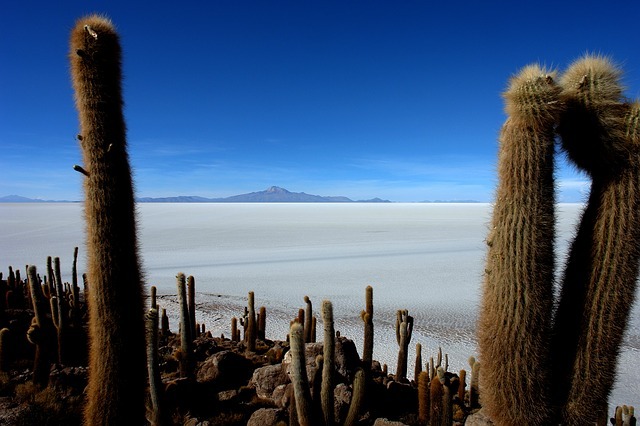 As I mentioned earlier, Uyuni is full of travel agencies, all offering a visit to the Salt Lake and its surroundings. 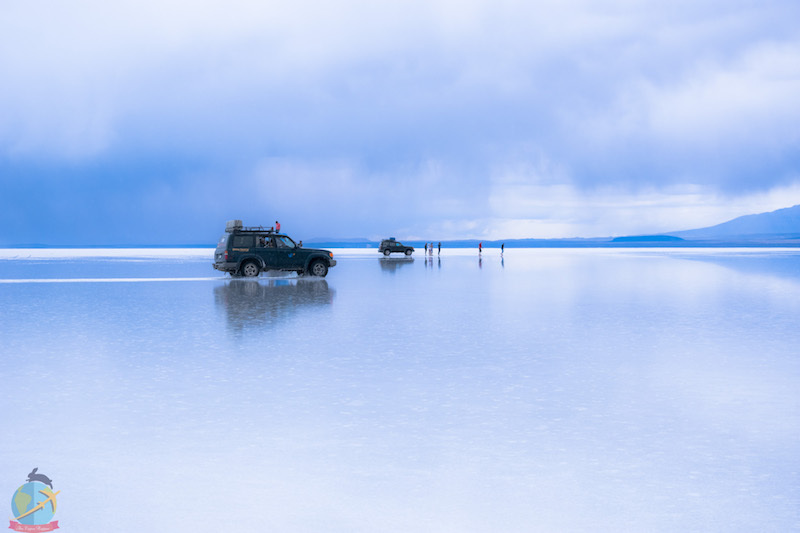 Expeditions from other parts of Bolivia are also offered- La Paz for example- some include everything related to transport to Uyuni but in terms of reducing costs it’s much better to organize the trip once you get to Uyuni because it gives you many more options and also it’ll be cheaper. You can take a day excursion to learn about salt flats and maybe include the version to see the sunset or stargazing. Other alternatives are tours of 3 or more days that will take you around different parts of the altiplane. 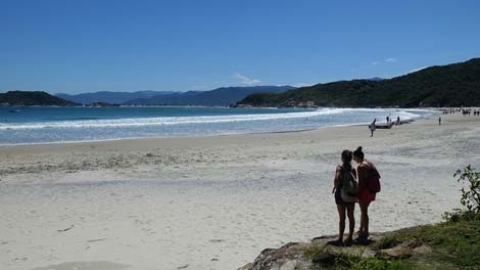 We chose the package of 3 days and 2 nights because we wanted to see all the national parks and lagoons. There are different types of offers and packages but the itineraries between an agency and another are quite similar. Stay overnight in a local town if you take salar + lagoons package (the accomodation is usually fairly simple salt hotels without heating but with shower with hot water service). In the village of Colchani, you can buy some souvenirs, after that we made a stop in a salt hotel to have lunch. This type of construction is fairly common along the area and you can see how they build these hotels and houses with materials obtained from large banks of salt. The salar leaves you speechless, no photo can do justice to what you see once you’re there, miles and miles of white desert that goes as far as the eye can see. At the end of the day we finished at the village of San Juan where we were going to spend the first night and a stunning sunset was the end of our day. On the second day, we went deeper into the altiplane. 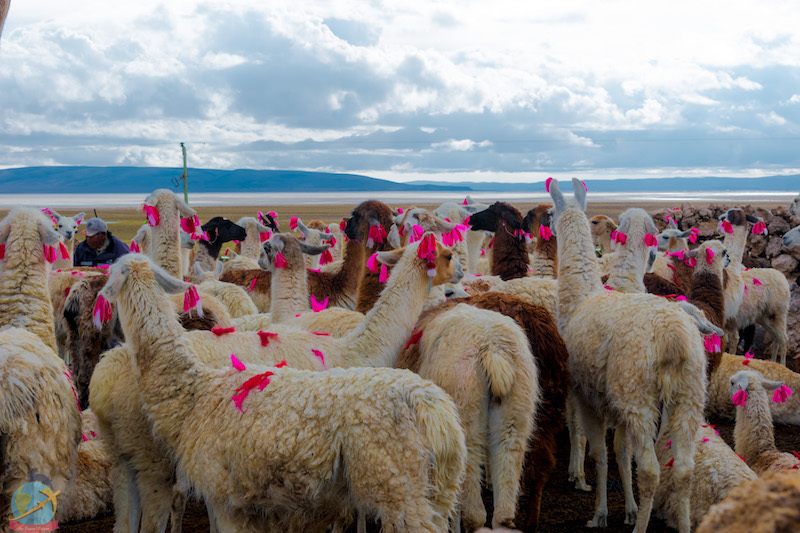 You can see llamas and alpacas grazing, fields of quinoa, mountains and volcanoes covered in snow. These views are postcard worthy and will leave you breathless. 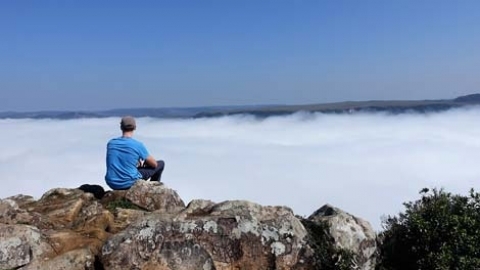 You’ll spot several lakes, including a visit to the Stinking lake that gets it name due to the high sulphur content which causes a not very pleasant smell. but I think so loud haha did not feel. You can appreciate the local wildlife and the group of flamingos that live there, this is a perfect opportunity to see them in their natural habitat and learn a little more of these animals. After visiting the Stinking lake we continued the tour to the Eduardo Abaroa national reserve first crossing the Siloli desert and its surreal landscapes with rock formations including the famous stone tree. 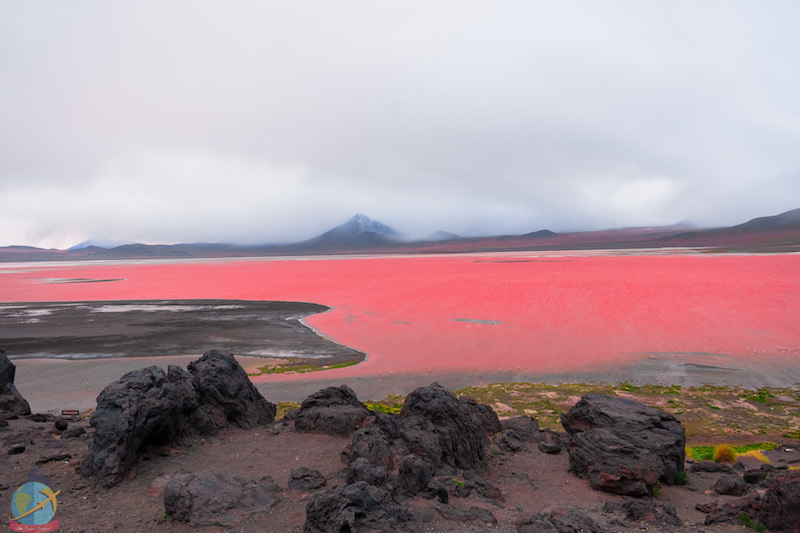 Finally in the evening we arrived at the reserve where the beautiful Laguna Colorada is, this lake obtains its coloration from the sediments and pigments of certain type of algae. 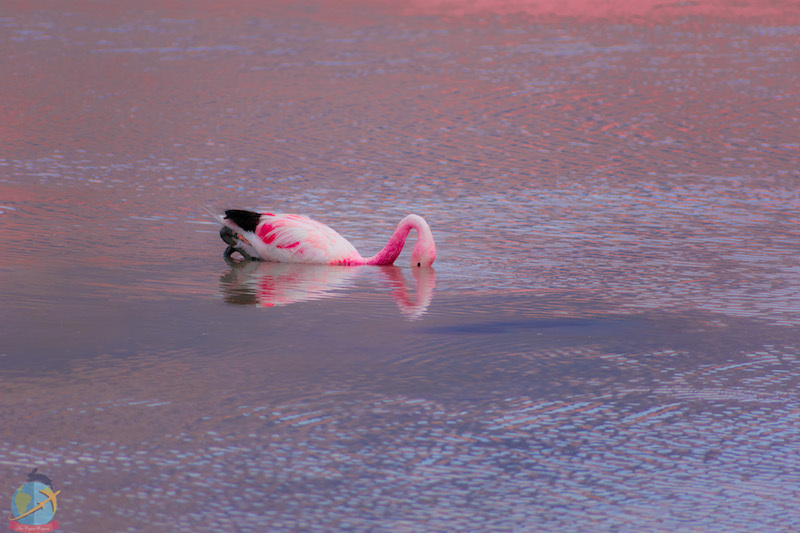 It’s also the home of the flamingoes who enjoy the feast of minerals and organisms they can get there. This place is outstanding, the views are spectacular and give you a perfect opportunity to take photographs worthy of National Geographic. We spend the second night in a small village within the national reserve. 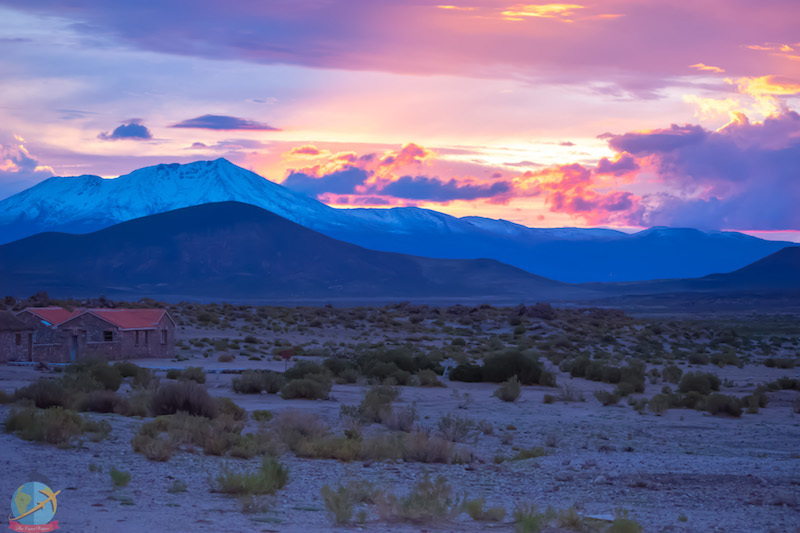 Our last day of the trip came, at this point some people may choose to continue their journey to San Pedro de Atacama in Chile or return to Uyuni. We had to get up very early (around 4 in the morning) to visit the geysers and hot springs. The previous night it snowed and was a bit colder but when we stepped outside our little refugee and looked at the sky we saw a beautiful sight. I seriously think that never in my life I’ve seen so many stars together. It was an extraordinary experience. The hot springs offer a good opportunity to warm up a bit, but when you get out of them only wearing a swimming suit and you’re back to freezing temperatures it’s better to run to get dressed as soon as possible. I decided to pass this activity because I was very warm and comfy with my 4 layers of clothes on and didn’t feel very good because of the altitude. The visit to the green lagoon could not be done because the weather conditions that day would not allow us to see the green color on the water and was a long way to go there for something we weren’t going to be able to appreciate, so we decided to skip it and return to Uyuni earlier to get some rest because that night we were going to take the bus to La Paz. The first time I experienced the altitude sickness or Sorochi was in Cusco, Peru and I had a really bad time because of it! Once you reach a substancial elevation the air becomes scarcer and less oxygen reaches your brain; there is considerable water loss so you can dehydrate easily and experience symptoms such as nausea, headaches, shortness of breath, among other things. Going through the same in Bolivia was a major concern as Uyuni and other places that we were going to were even higher than Cusco! When we arrived in Uyuni I felt calm because despite the 3,656 meters I didn’t feel bad. I tried to follow all the recommendations to minimize the effects and everything seemed to be working. The first night went alright and I slept without any problems, but on the second day… oh the second day! The Sorochi gave me the first punch that was there to stay. Once we arrived at the Siloli desert it hit me, I hadn’t been drinking enough water because honestly I didn’t want to experience what happened when I traveled to Potosí, each day we spend a lot of time in the car without stopping, also the road were tortuous and bumpy which made the car move even more and my stomach to turn. On the third day I felt the worst, I hadn’t slept all night due to the intense headache. I had nausea so I didn’t have anything to eat. We were over 4,000 meters above sea level, and at one point of the way we were going to reach 5 thousand! Not everyone gets affected by altitude sickness in the same way. We were sharing the car with a Japanese couple that I envied because they were so energetic the whole time – in the same way that other travelers that were jumping and running everywhere – the sorochi didn’t affect them at all. Perhaps if I’ve had opportunity to stay longer and get used to it my reaction would have been less traumatic but I think that the fact that I come from a place with virtually zero elevation made some influence because such a change was quite shocking in my system. Besides the fact that I hadn’t been drinking up enough water. Part of my holiday was ruined by how bad I felt, but I was not the only one because my 2 friend were in the same situation as me so our car was full of moribund people (insert sad face here). Nevertheless I made my best effort to try and get out of the jeep at the stops we made. I walked out, watched, took pictures and quickly returned to my spot curling up like a caterpillar. We decided to return to Uyuni earlier, the Japanese were going to Chile so only our group was going to stay with Jose and he made the suggestion to go back sooner so we could rest. We said yes immediately! Back at Uyuni finally I could feel better because apparently my body was ok at 3,000 m above sea level (bravo!). After reading this maybe you’re thinking if it’s really worth it to go through all these , but while it was uncomfortable and rather frustrating to not have the energy I wanted I have no regrets because everything I saw during those days is something that I’ll never be able to forget. 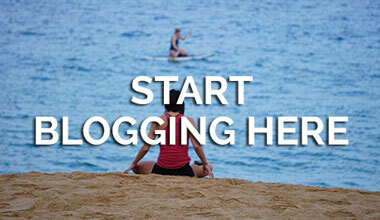 It’s a place with landscapes and that will leave you breathless (literally). I could check another destination of my bucket list and I saw an exceptional natural paradise. The tour agencies offer food for every day. Check with yours if they can prepare a menu without animal products. For my meal, there was some confusion. 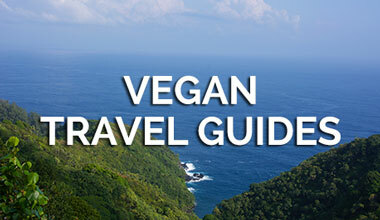 Months ago I had discussed with the agency about my requirements and there was no problem; but since I wasn’t sure if we were going to make the trip with them or not, I confirmed at the last minute and our guide had not been informed that I was vegan. Anyway, he did his best to prepare my meals which I appreciate a lot. The dishes are generally quite simple. Think of pasta, potatoes, salads (lettuce, tomato, cucumber), boiled vegetables, rice, corn, avocado, quinoa, etc. So you may want to bring extra things to complement. And for breakfast, bread with jam, tea, biscuits and perhaps fruit. I took my instant oatmeal and ate a little of that. Because of the altitude issue I didn’t have much appetite anyway. 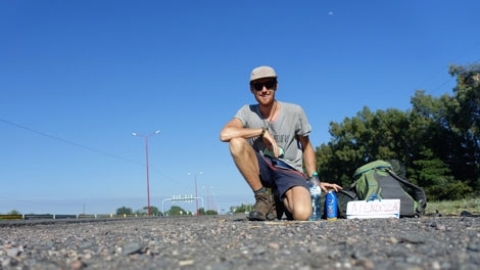 When you get to Uyuni try to buy additional food as backup, e.g. fruits and canned beans or chickpeas in case the people from your agency forgot that you were vegan. Similarly, it is not recommended to eat heavily if you are getting used to the altitude. Bring some things from home that may be difficult to obtain in Uyuni such as oats, nuts, energy bars, instant soup, dates, cereal and soymilk powder, etc. At the moment there aren’t any 100% vegetarian or vegan restaurants, but I had no problem finding something to eat. There are a couple of restaurants offering international cuisine and at my dinner on the last day I could try some lentil croquettes, there are also pizzas, sandwiches and pasta options. 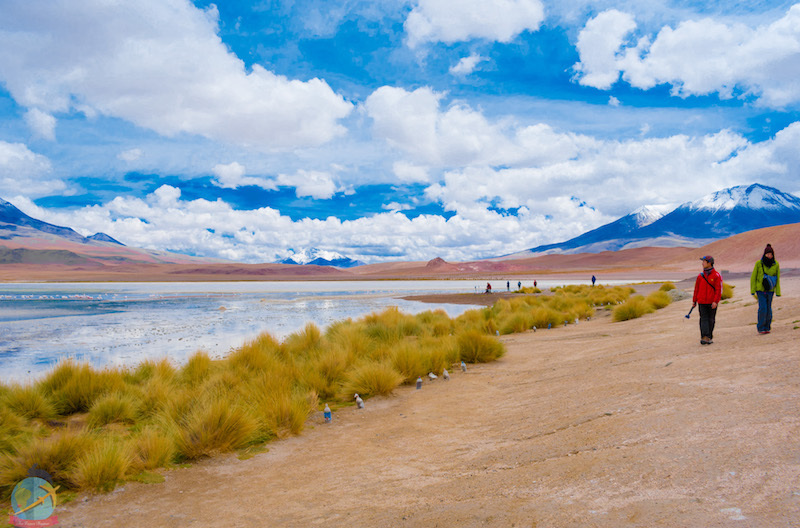 There are several starting points for the expeditions: travelers can start at Uyuni or Tupiza near the Argentinian border or in the Atacama desert in Chile. Similarly at the end, you have the option to finish at any of these places. Night accommodation is quite basic. There is no heating system and it can get very cold so be prepared with warm clothing. Electric power gets shut down at 10 o’clock or earlier, be sure to carry a small flashlight in case you need to get up in the middle of the night. Since the salar and the lagoons are very remote and basically in the middle of nowhere you need to do the tour with a travel agency because there is no other way of getting from one place to another on your own, it can be dangerous and it’s prudent since there are no road signs or even proper roads for that matter. A person can get lost easily on its own. There are hundreds of travel agents offering trips to the salt flats. Take caution when deciding which one to choose. Make sure it’s a responsible agency with good reputation as accidents have occurred when some drivers drink and drive at high speed. Double check that the company that you use has first aid kit and oxygen tank in case of emergencies, this is very important. Bring sunglasses, extra batteries for your camera or cell phone since electricity is limited, also extra memory cards because you’ll take loads of pictures probably, toilet paper, sunscreen, water, clothing for the cold times, swimsuit in the event that you want get into the hot springs. Tea and coca leaves help treat the symptoms of the sorochi, although it can make you feel like an alpaca chewing leaves all the time. Also-if you want to- pharmacies sell some medicine to help with altitude sickness. Carry flip flops or shoes that you can get wet because if you visit the water mirrors and want to walk there your feet will get soak in water. Try to avoid drinking beverages with caffeine or alcohol as well as fatty foods because they can worsen the effects of the altitude. Keep in mind that you’ll be in isolated places and some areas won’t have internet connection or even phone signal for most of the tour. You won’t be in 5 stars hotels, this is a journey of adventure where you have opportunity to separate yourself from the world for a couple of days. Take the opportunity to connect with yourself and everything around you. 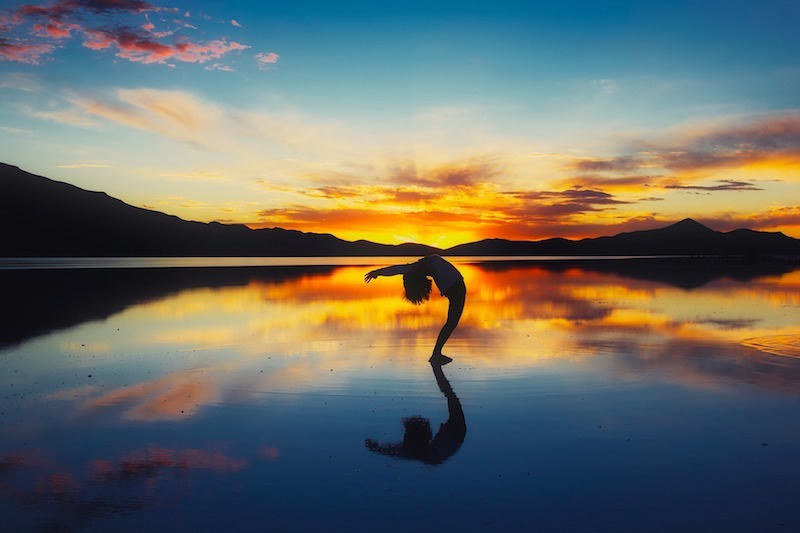 Have you already visited the salar de Uyuni or have plans to go? Leave your comments or questions in the section below. 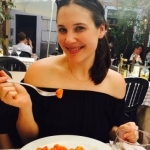 Don’t forget you can also check my personal blog and follow me on social media. Wow, it looks magical! Stunning photos!